This week, ... See More we're going to talk about how to manage depression. 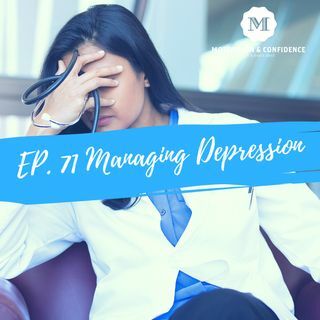 This is a very complex subject, but I know that I have listeners, friends, and family who struggle with depression for various reasons, and there are several different types of depression. I believe the type that I'm going to speak about as atypical. You can look it up online, but it's more a, I want to say, a general type of depression for the sake of defining or clarifying to some people who may not know what depression is in a definitive sense. People just say I'm depressed, but it a state of feeling of being depressed. It's a mood, a disorder, which is marked by sadness, inactivity, difficulty in thinking or concentration, increase or decrease in appetite in time spent sleeping, feelings of dejection, hopelessness, and sometimes, suicidal tendencies. Okay?